Sunil Thapliyal did BA in History and English from Meerut University. He then did Masters in Philosophy. 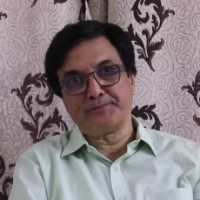 He started his career as a Management Assistant with Resources Management & Associates where he was responsible for conducting Personnel Selection, MDPs, Market Research & SWOT Analysis jobs from the Western UP based industries including NOIDA,Ghaziabad & whole MODI Group. In 1985, He switched to media industry and joined Dainik Jagran as Bureau Head. He has worked at various oraganization at different positions like India News, Zee News, Amar Ujala Hindi Daily, Royal Crest Media, India News, Subharti Media Ltd, Gurudev Ventures Inc, JK 24*7 News Ltd, India Watch News Channel, Sahara Media, Hindustan Times, Mahua Media Pvt Ltd. He has rich and insightful experience of more than 30 years in the leading Newspaper & TV Media Houses, in the areas of Project Launches, Market Research, National Media Marketing/Ad-sales and proactively conducting opportunity analysis by keeping abreast of the market trends and competitors' moves to maintain the market-share metrics. In 2017, He started his own firm by the name Benchmark AV Media. Advertising is a marketing communication that employs an openly sponsored, non-personal message to promote or sell a product, service or idea. Marketing is the action or business of promoting and selling products or services. "After completing my education, I started my career with Resources Management & Associates as Management Assistant. later, I switched to media with Dainik Jagran. I have worked with India News, Zee News, Amar Ujala, Sahara Media, Hindustan Times. in 2017, I started my own firm by the name Benchmark AV Media."